1. Did Jesus arise from the grave in his body of flesh and bones? 2. How did the disciples know that He had a body? a) They had dreams about Him, they heard His voice and they heard stories about Him. b) They saw Him, they touched Him, they talked with Him, and they ate with Him. 3. Did Thomas believe the wonderful news of Jesus' resurrection when the other disciples told him? 4. When Thomas himself saw the risen Christ what did he do? b) He believed and worshipped Jesus. 5. How many days did Jesus appear on earth after His resurrection? 6. The risen Jesus appeared to only a few people. 7. The Lord Jesus will come back to earth in a different way than the disciples saw Him go up. 8. 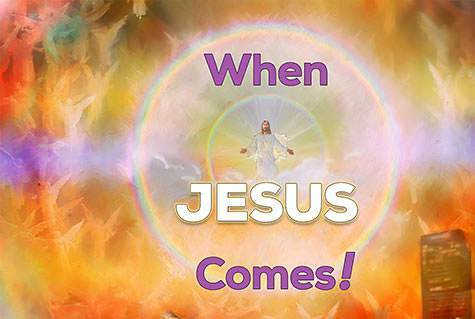 The Lord Jesus promised that He will return again some day. 9. No one knows exactly when Jesus will return. 10. Who will be taken up to meet the Lord in the air when He returns? a) Those who are good people and those who have kept the commandments. b) Believers who have died and believers who are still living on earth at the time. 11. At the Lord's return what happens to those who have never taken Christ as their Savior? a) They will live happily. b) They will be left behind to experience great trouble.